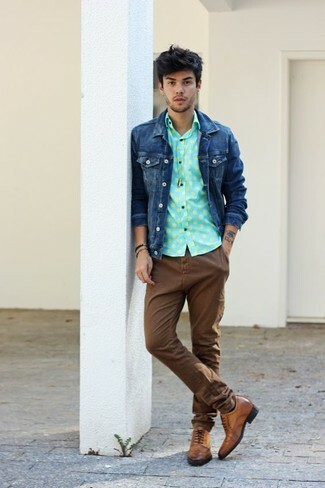 If you're hunting for a casual yet on-trend getup, try teaming a blue denim jacket with brown chinos. Both pieces are totally comfortable and will look great paired together. 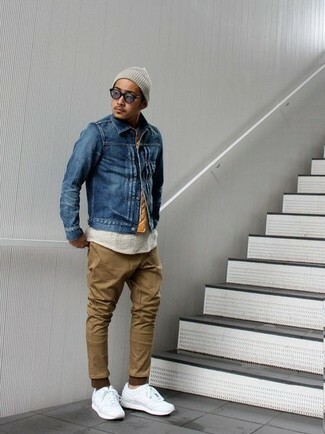 Dress down this getup with white leather low top sneakers. 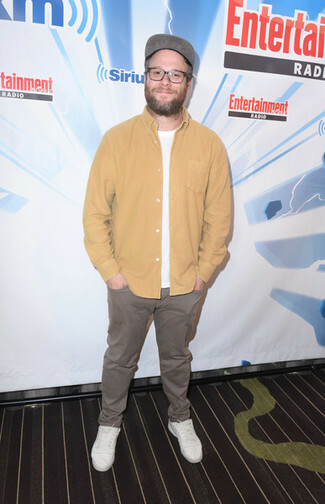 As you can see here, looking dapper doesn't require that much effort. 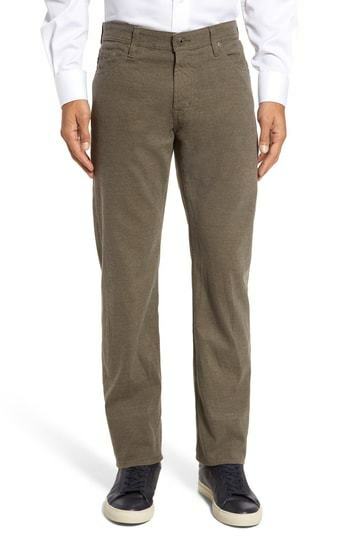 Just consider pairing a tan shirt jacket with AG graduate tailored five pocket straight leg pants from Nordstrom and you'll look great. White low top sneakers will contrast beautifully against the rest of the look. For a casually elegant getup, make a navy pea coat and AG graduate tailored five pocket straight leg pants your outfit choice — these items play perfectly well together. Play down the casualness of your getup with dark brown leather chelsea boots. 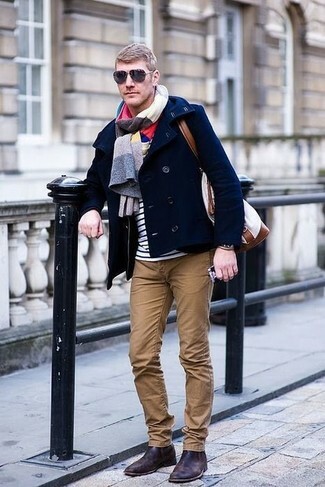 If you're hunting for a casual yet seriously stylish look, go for a grey print crew-neck t-shirt and brown chinos. Both pieces are totally comfortable and will look great together. Grab a pair of dark brown leather sandals to make the ensemble current. This combination of a grey wool blazer and brown chinos is very easy to make up without a second thought, helping you look awesome and ready for anything without spending a ton of time rummaging through your closet. 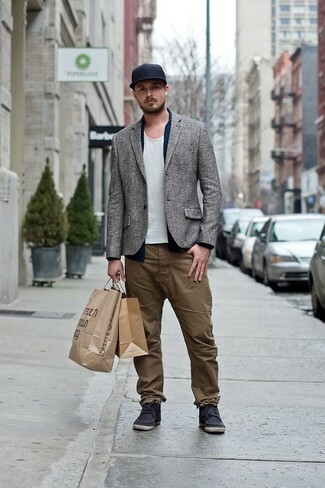 Finish off this getup with charcoal canvas casual boots. 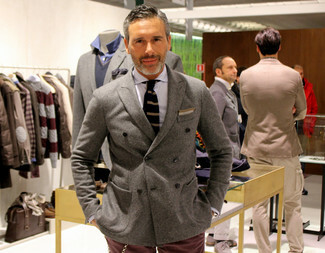 For a smart casual getup, team a grey double breasted blazer with brown chinos — these pieces fit really smart together. Contrary to what you might believe, being a dapper dude doesn't take that much the workplace. Just go for a navy shirt jacket and AG graduate tailored five pocket straight leg pants and you'll look amazing. When it comes to shoes, this look pairs perfectly with dark brown suede desert boots. 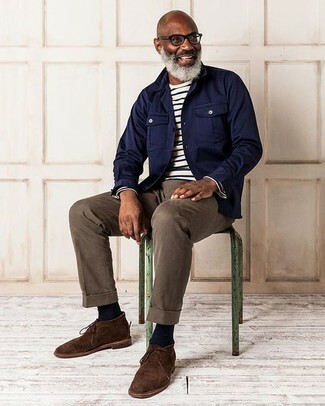 If you're looking for a casual yet dapper getup, choose a navy denim jacket and AG graduate tailored five pocket straight leg pants. Both pieces are totally comfortable and will look great paired together. Turn your sartorial beast mode on and go for a pair of brown leather brogues. If you're looking for a casual yet on-trend ensemble, make a navy military jacket and AG graduate tailored five pocket straight leg pants your outfit choice. Both items are totally comfortable and will look great together.